This is such a remarkable statistic about Facebook! 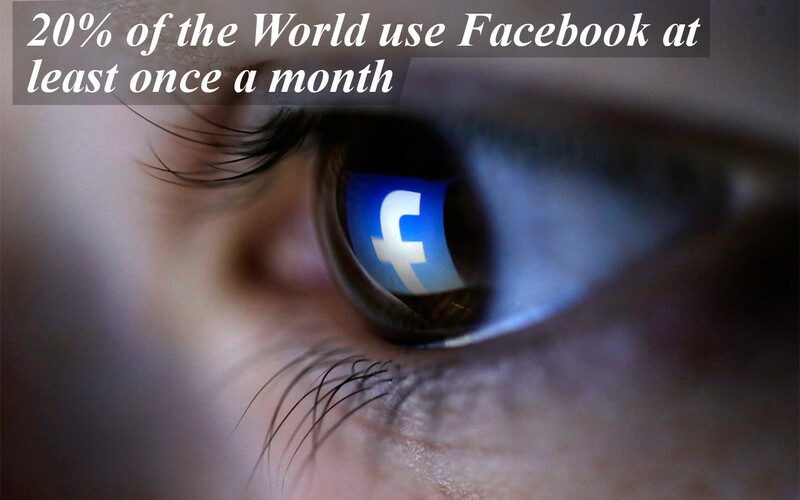 About 20% or 1 in 5 people in the entire world use Facebook at least once a month. This means that over a billion people use Facebook which in turn help connect the whole world. This helps to explain why Facebook is one of the most highly valued company in human history. To put it in perspective. Facebook has the ability to show any message (or advertisement) to over a billion people at any given time. This shows that this one company has tremendous power to influence the world for both the bad or the good. The power that Facebook yields is a perfect example of the Spiderman cliche: With great power comes great responsibility. Hopefully Facebook is leaning towards the good side!